Guests are met in Narbonne** and transferred by private chauffeured minibus to Anjodi. Enjoy a chilled Champagne welcome with canapés and the opportunity to meet your crew, followed perhaps by a relaxing stroll around the lovely village of Marseillan, home of Noilly Prat vermouth; or perhaps visit a local oyster farm to sample its delicious produce with a glass of white wine while enjoying a view of the oyster beds. Dinner on board. This morning we enjoy a round of golf at Le Cap d’Agde Golf International. This course is located in a colourful landscape created by one of the world’s most renowned architects, Ronald Fream. An outstanding and inventive course whose greens are jealously protected by bunkers that you will never forget. 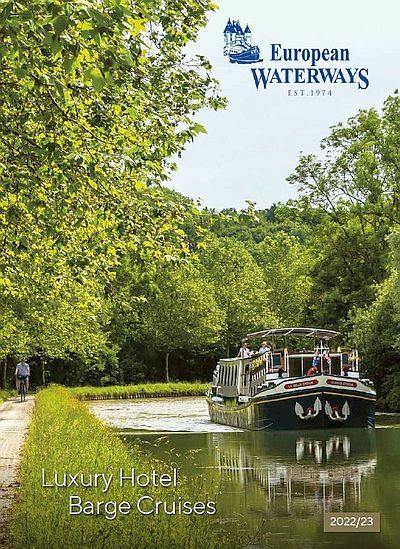 Return to the barge and enjoy a late lunch whilst cruising along the 330-year-old Canal du Midi through the Bagnas nature reserve, with potential sightings of flamingos, white egrets and other migrating birds, under bridges built from the local black volcanic stone. Dinner on board. (18 holes, 6135m, par 72). After breakfast, we cruise further along the Canal du Midi, crossing the aqueduct over the River Orb and ascending the 7-lock flight of unique oval locks at Fonserannes to arrive at our mooring at Malpas near the pretty village of Colombiers which lies on an old Roman road, the Vis Domitia. After lunch we golf at Golf St Thomas. This course offers various types of play: woods, hills, lakes and on some fairways a more classic approach. Dinner ashore tonight at a gastronomic restaurant in Beziers. (18 holes, par 72, 6130m). This morning’s excursion is to Narbonne, a Roman Mediterranean capital where the Visigoth monarchs once lived. We tour the Archbishop’s Palace, Cathedral and Via Domitia and explore the indoor market at the hub of this bustling town, where you will have time to shop or simply absorb the vibrant atmosphere. This afternoon, we cruise through the world’s oldest canal tunnel at Malpas, perhaps pausing en route at the Poilhes brewery for a tour and tasting. We then cruise on past vineyards and pine trees, with magnificent views of the Pyrenées along the way, to moor in Capestang. There is time to explore the village, once the summer retreat of the Bishops of Narbonne, with its magnificent 14th century collegiate church. Dinner on board. This morning we play at Golf De Lamalou-les-Bains located at the foot of Mt Carooux by the River Orb, this course with its three small lakes, is flat, wooded, short, technical and most enjoyable. Returning to the barge we continue our cruise along the 330-year-old Canal du Midi and then through a series of locks on the Canal de la Robine, with excellent walking and biking opportunities en route, to our mooring at Sallèles d’Aude. Dinner on board. Fascinating morning tour of Carcassonne. Dating back to the Gallo-Roman era, this is the most complete mediaeval fortified city in existence today with its 52 watchtowers, portcullis and extraordinary repertoire of defences, which resisted the many armies that tried to storm this glorious Camelot setting. This afternoon enjoy golf at Golf de Carcassonne. Challenging water obstacles and bunkers make this a tactical golf course for players of all levels. Captain’s Farewell Dinner on board at the delightful mooring in the village of Le Somail. Golf cruises include pre-booked and paid tee times and transfers to and from the golf clubs. Hire of clubs, caddy or buggy are not included.